It's Watermelon Week at Red Couch Recipes. 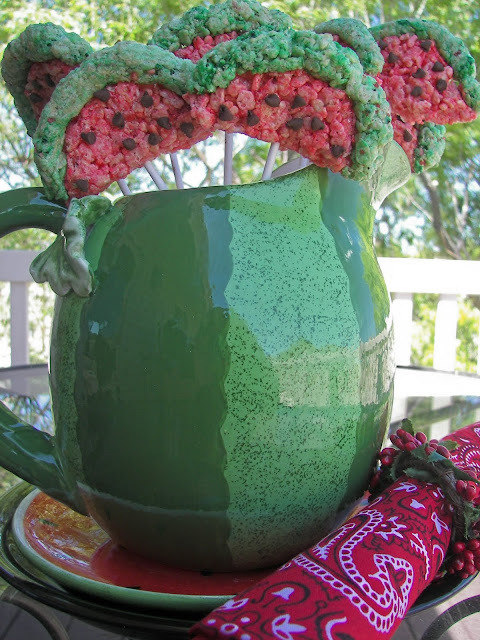 I whipped these Watermelon Rice Krispies up in no time! This is a fun project you could make with your children or grandchildren. These need to be seeded watermelon slices; the slices look incomplete without the mini chocolate chips for seeds. On medium heat, melt better in large stock pot or large sauce pan. Add marshmallows and heat until melted. Add Rice Krispues cereal and stir to coat cereal completely. Divide Rice Krispies into two portions for coloring. Color about 3/4's of mixture with red food coloirng. Color the remaining 1/4 with green food coloring. Put red mixture into greased pyrex baking pan and smooth and flatten. Cut out red mixture, with a cookie cutter or the top of a glass, round circles of the red mixture; then cut circles in half. Roll green mixture into rind shapes and attach green rind to red watermelon. You might need to flatten the slices with a rolling pin. Adorn with mini chocolate chips by pressing chips into the watermelon slices and insert stick. Sorry, I did not take pictures of the process because I had to work quickly because the Rice Krispy mixture can harden quickly! I am posting this with Tasty Tuesday. I am also posting this with It's A Blog Party. How cute are these? Too cute for words. You come up with the most creative things. I am inspired. These look beautiful. 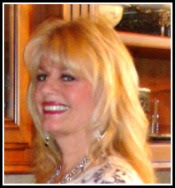 Thanks for sharing and stopping by my site. Have a great day. Those are adorable...now that is a watermelon I could eat! Hi I am visiting from Tasty Tuesday, these are absolutely adorable! These are so fun and flippin' summery! 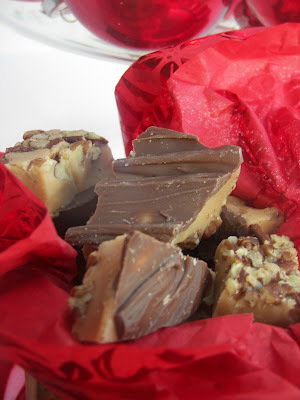 I'm going to make them for an upcoming reunion and I know they will be a hit with all my grands. Can't wait...thanks Joni! Wow! 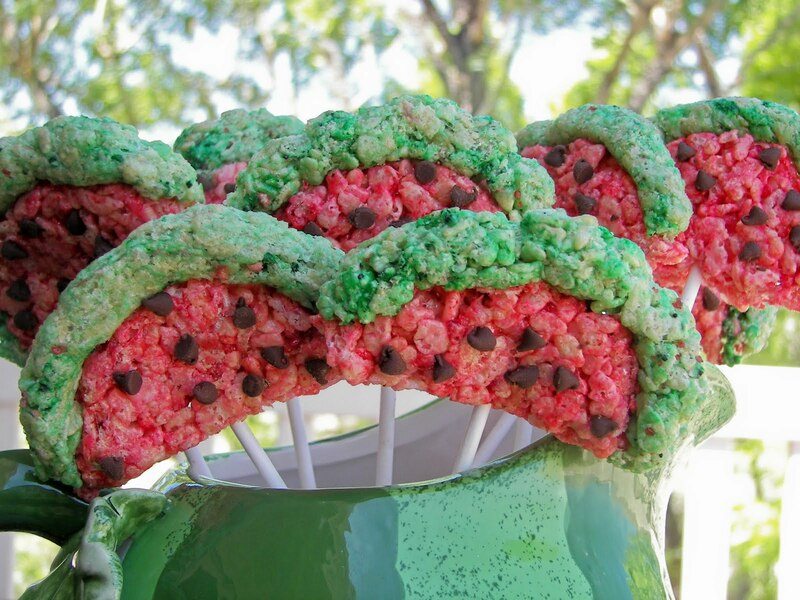 All these watermelon-themed goodies popping up in Blogland are making my mouth water. I'll have to throw a summer party just as an excuse to try them all out. I love all the things that you put on sticks! Great for the little grands!...but I have an idea that I'll be making them for a couple of grown up barbecues too. Absolutely wonderful! I love these! Thank you for sharing this! Joni, I love your theme week and these are so cute! The frappes look great too! What a neat idea. You are an awesome cook, Joni and Tati takes after her mom! This post has been selected as one of my great posts of the week. Here is the link to my post. So cute! I might not attempt, though. I'm pretty sure red food coloring would be EVERYWHERE.